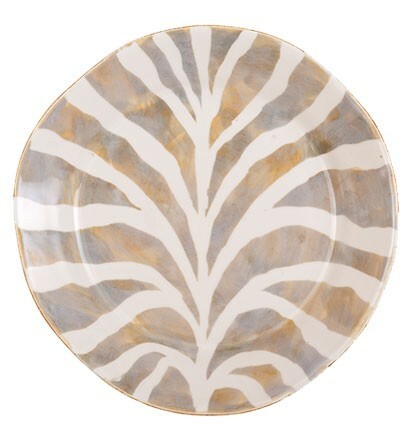 Inspired by exotic animal prints found on the fashion runways of Milan, the Safari dinner in Zebra print plate will add a stylish touch to any table! The combination of creams, grays and golden tones mix beautifully with the Lastra gray collection, making this print really pop! Handmade of terra bianca in Tuscany.